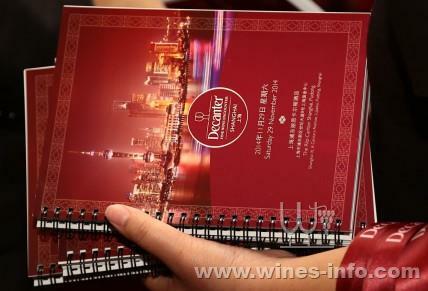 Over 100 icons of the wine world gathered in Shanghai on Saturday to take part in Decanter's first wine event in mainland China, the inaugural Decanter Shanghai Fine Wine Encounter. The star-studded occasion, held at The Ritz-Carlton in Pudong, saw more than a thousand wine-lovers pass through its doors, as an exclusive day of world-beating masterclasses, seminars and walk-around tastings took place across the event. In a first for mainland China, the directors of all five Bordeaux First Growths, Châteaux Lafite-Rothschild, Latour, Margaux, Haut-Brion and Mouton-Rothschild, appeared together on stage to lead a special masterclass and tasting of wines from their legendary estates. The tasting featured a pair of vintages from each First Growth, and guests were guided through the wines by Philippe Dhalluin (Château Mouton Rothschild 2005 and 1996), Jean-Philippe Delmas (Château Haut-Brion 2008 and 2000), Frédéric Engerer (Château Latour 2010 and 2003), Christophe Salin (Château Lafite-Rothschild 1998 and 1990) and Paul Pontallier (Château Margaux 2009 and 1999). Elsewhere across the event, China’s Cabernets were explored in-depth by an expert panel of Steven Spurrier and Professor Li Demei, whilst Dom Pérignon chef de cave Richard Geoffroy guided guests through the 2004, P2 1998 and Rosé 2003 respectively. Grace Vineyards’ Judy Chan then hosted a session focussed on her popular Chinese Chardonnays while Château Montrose CEO Hervé Berland presented a special vertical from the renowned Bordeaux second growth, which included the 1990 vintage. Chilean wine pioneer Aurelio Montes took guests on a tour of his renowned Alpha M series before a special Dominio de Pingus seminar led by Peter Sisseck featured the 2008, 2009 and 2010 vintages. In the main ballroom, two bustling walk-around Grand Tasting sessions took place during the one-day event, showcasing more than 500 wines from over 100 of the world’s finest wines estates with the chance for guests to get to know the people behind some of their favourite wines. Hot on the heels of the inaugural event, the Decanter Shanghai Fine Wine Encounter is set to return for a second year in 2015, on 28 November at The Ritz-Carlton, Pudong.